A few years ago, I asked some Wake Forest beat reporters when the Deacons projected to have a breakthrough year. 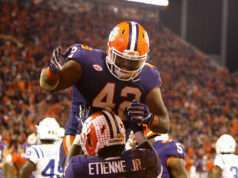 They answered 2018, especially since Clemson plays at Wake Forest. Throughout five games in 2018, they predicted half of the equation correctly. Wake Forest’s offense is excellent, but their defensive play got the defensive coordinator fired less than a month in the season. Greg Dortch is the Demon Deacon’s star player – a redshirt sophomore receiver that should play in the NFL soon. He led the ACC in receiving touchdowns before suffering a punctured intestine by landing on the pylon after a score. He has drawn comparisons to arch-rival Duke’s Jamison Crowder who is now with the Redskins. Senior quarterback Kendall Hinton was suspended to start the season, so local freshman Sam Hartman seized his opportunity and is still the starter after Hinton’s suspension. Hartman is protected by three of Wake Forest’s best players, senior offensive linemen Justin Herron, Ryan Anderson, and Phil Haynes. 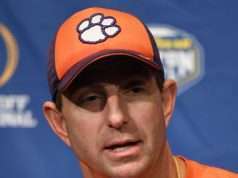 Coach Swinney described Wake Forest as faster than Syracuse, with their specialty involving running the football and play action. Their best defensive player is junior cornerback Essang Bassey, but one player or a new coordinator can fix this defense. They have allowed 14 touchdowns to three picks through the air this year, and opposing offenses have averaged 31.6 points per game and 6.05 yards per play. 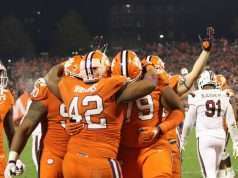 Clemson is favored by 20 points and the under/over is 61 points. 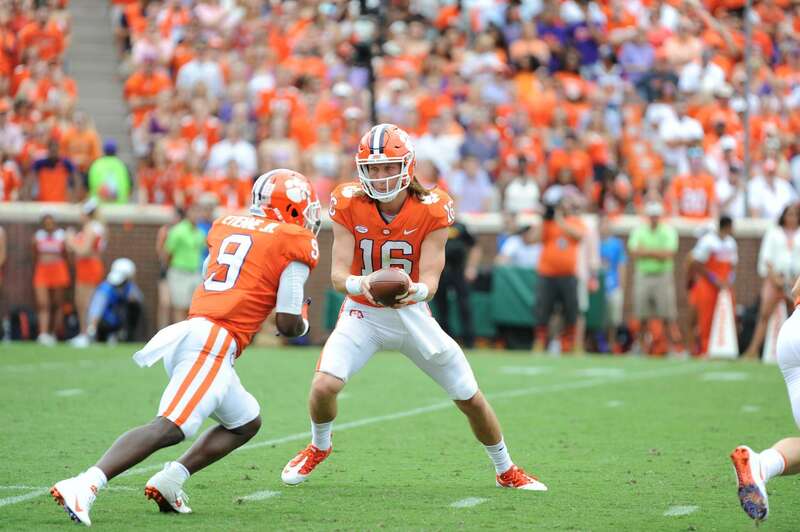 Both teams should score early before Wake Forest’s offense struggles to keep up with Clemson’s offense – this could be a statistical high water mark of the year for Clemson’s offense.